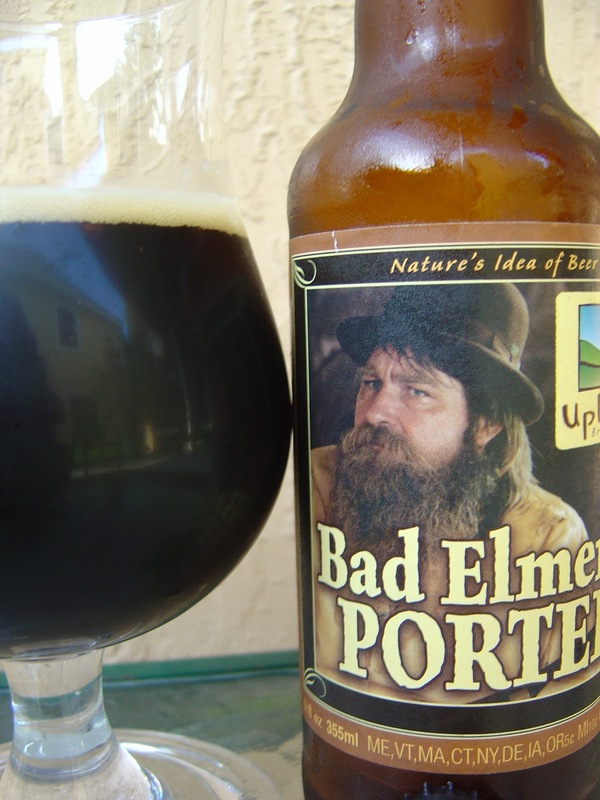 Today I'm drinking Bad Elmer's Porter brewed by Upland Brewing Company in Bloomington, Indiana. I'm losing track a little, but I believe this is Beer 5 from Trade 2 with Marathon Marie. The label says "Nature's Idea of Beer" and depicts a scary, rugged, bearded backwoodsman. 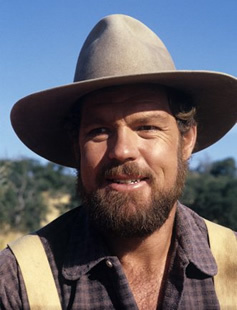 He looks a bit like Charles Ingalls' friend Jonathan Garvey gone mad! The label definitely leaves some unanswered questions, though. Why is Elmer bad? Bottled on December, 2010. The aroma is mostly roasted malts with a faint vanilla hit. Roasted malty flavors also start things off with the first sip. A bit nutty with some smoke, yet balanced with none of that harsh porter bitterness which is way too common. A coffee flavor persists throughout the entire experience as well. A bit light in body. Dry finish. An OK, easily-forgettable beer. Put an angry look on Jonathan Garvey, let the beard and mustache go crazy, add a serious mean streak, and you've found your guy. I had upland's beastie barrel stout the other night and it was good, but too woody and smokey. I think a little of my beastie mixed with a little of your elmer might make the difference.